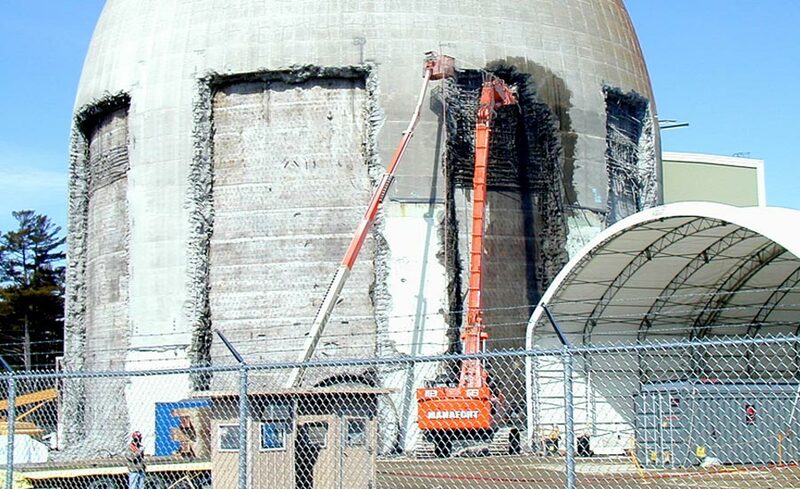 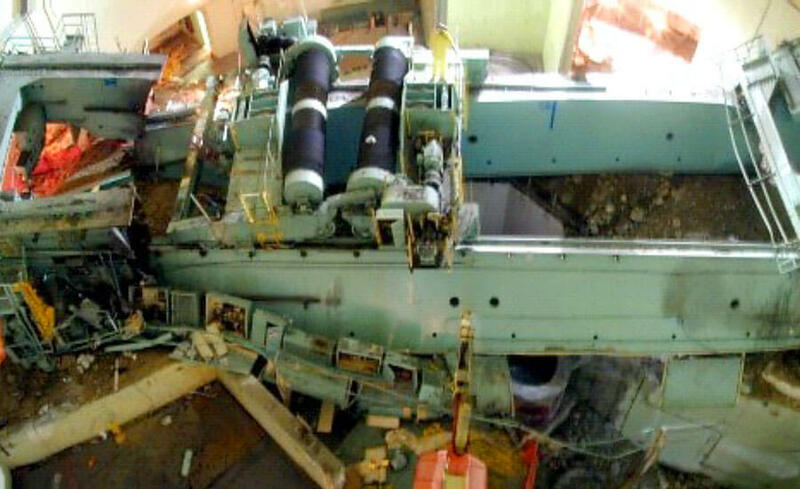 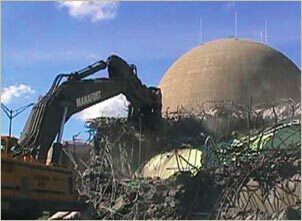 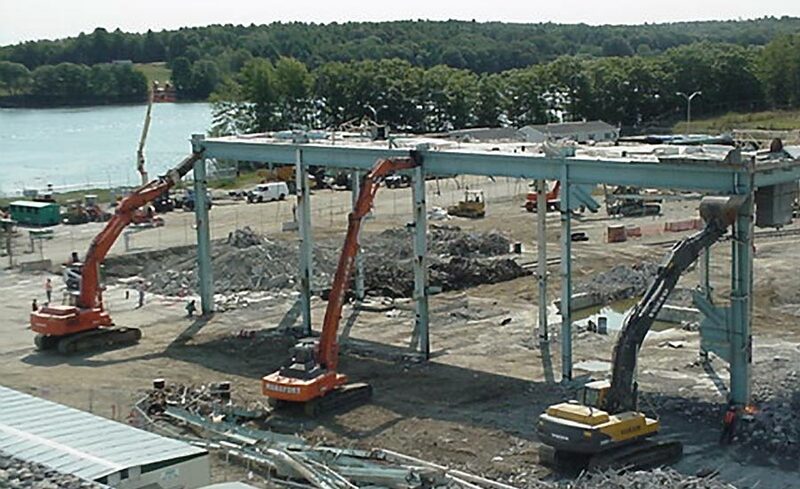 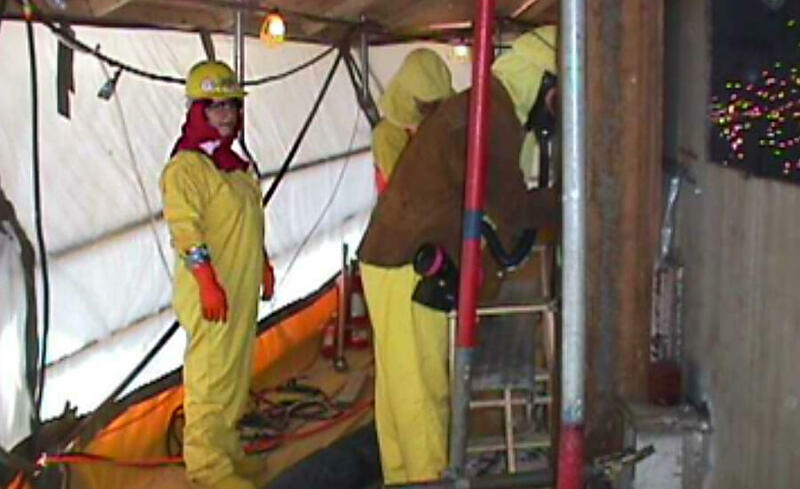 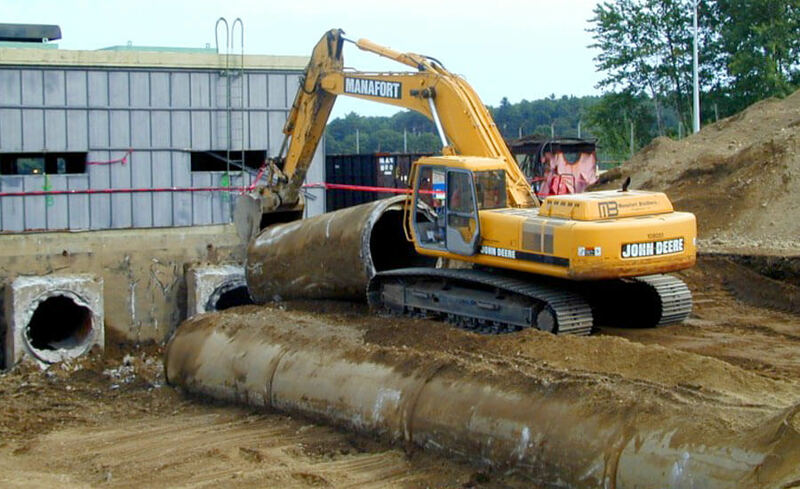 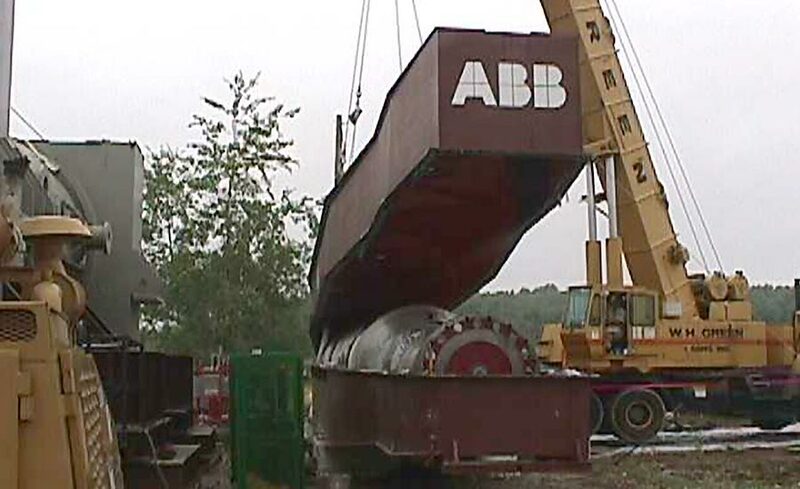 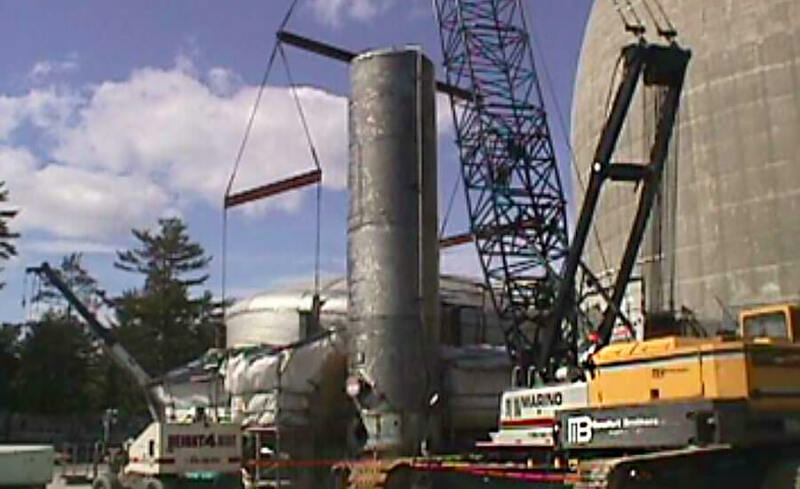 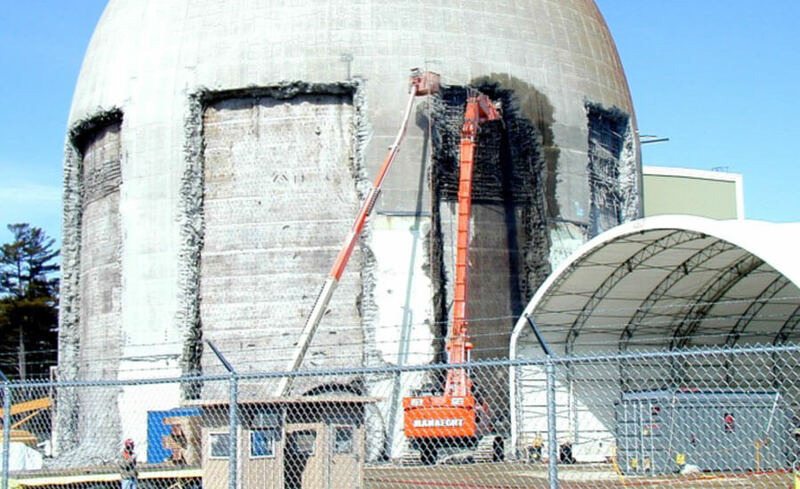 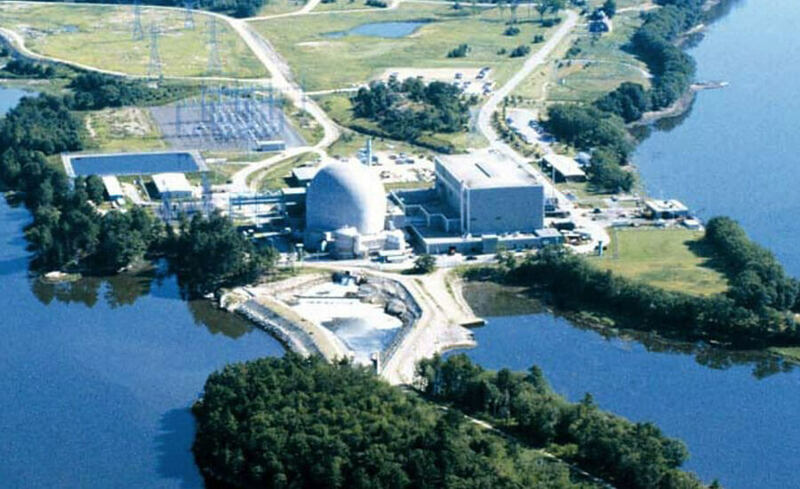 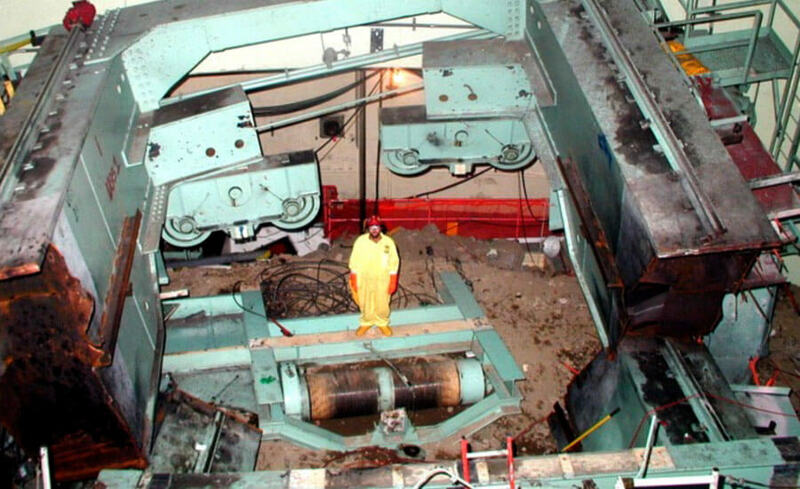 Maine Yankee Nuclear Power Plant Decommissioning & Demolition - Manafort Brothers Inc.
• The use of explosives to percussively weaken the heavily reinforce concrete Turbine Pedestal to allow demolition with the use of large Excavators and Hydraulic Hammers. 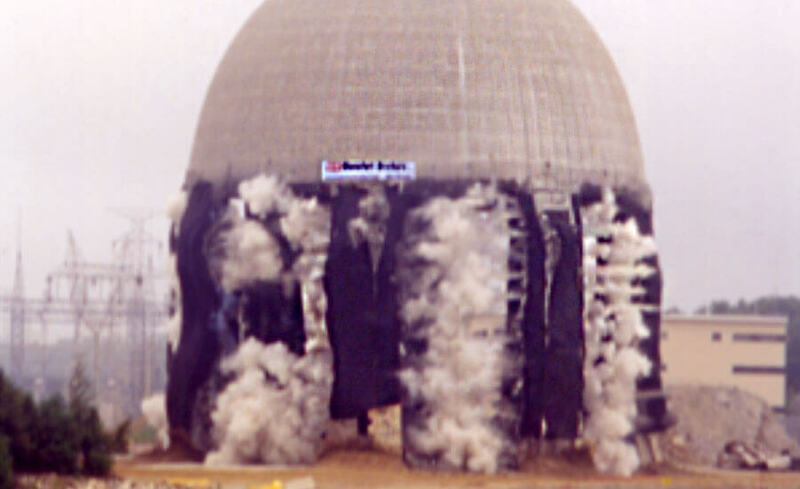 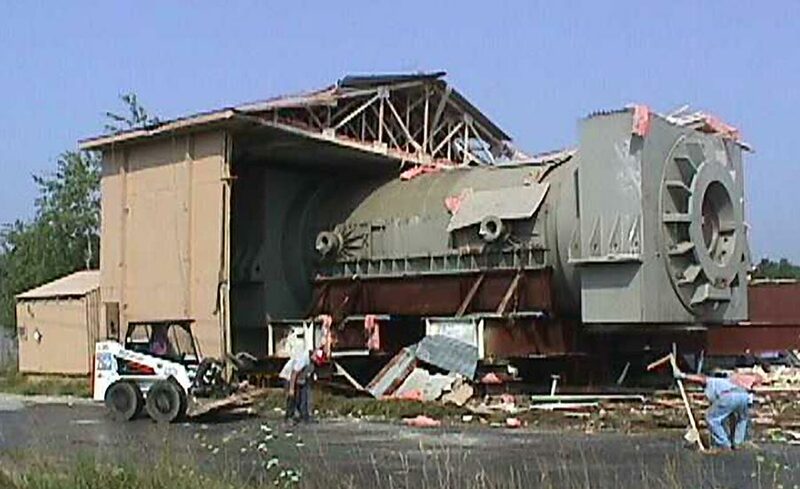 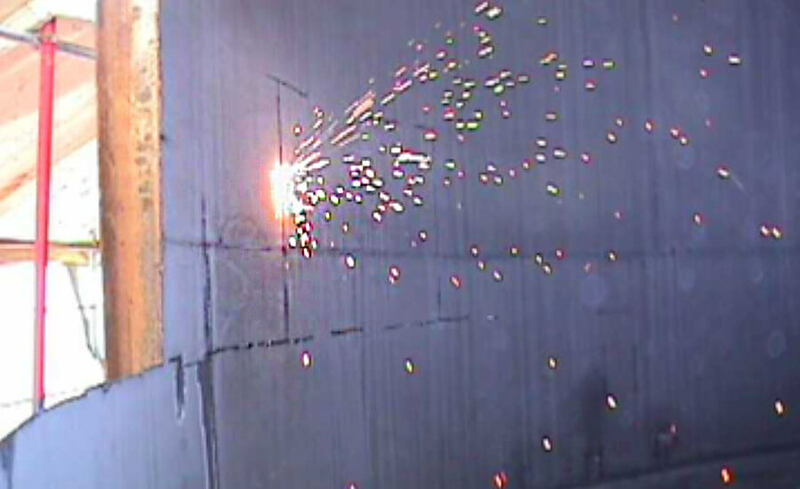 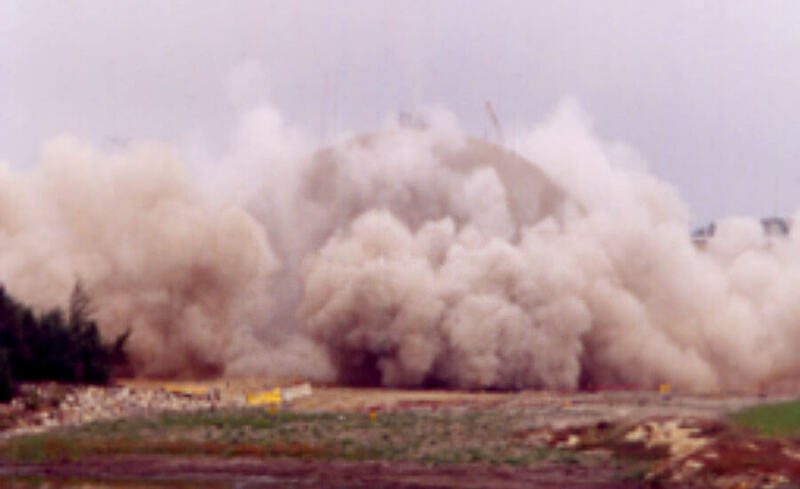 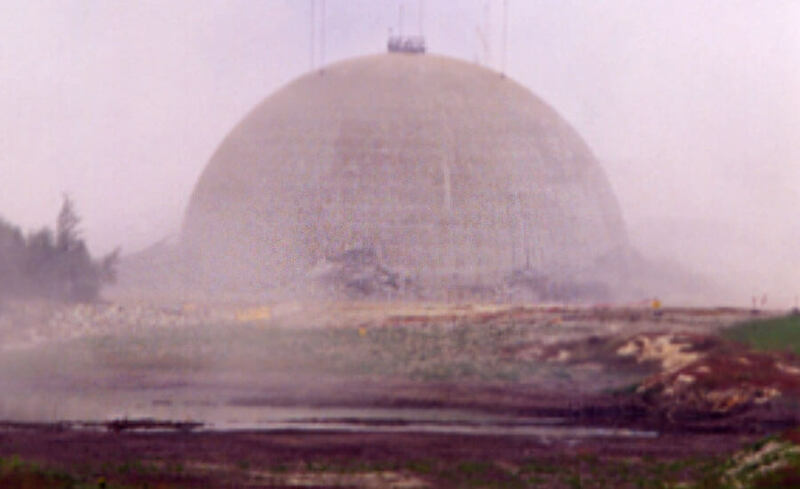 • The use of explosives to implode the Turbine Building to allow safer demolition at grade. 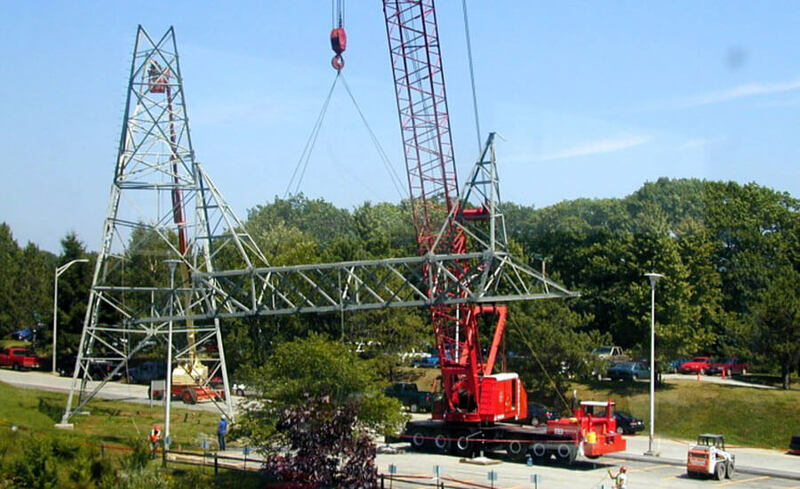 • The use of large cranes and pick plans to dismantle transmission towers. 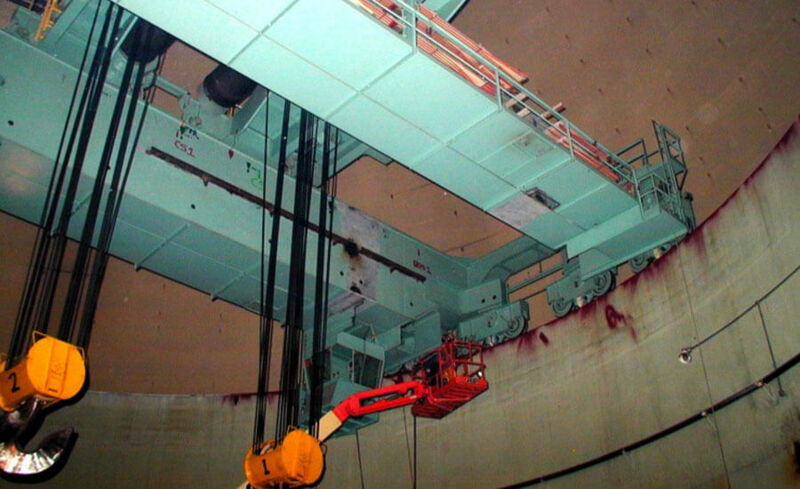 • The use of explosives to safely lower the Containment Structure Polar Crane to allow safer demolition at grade. 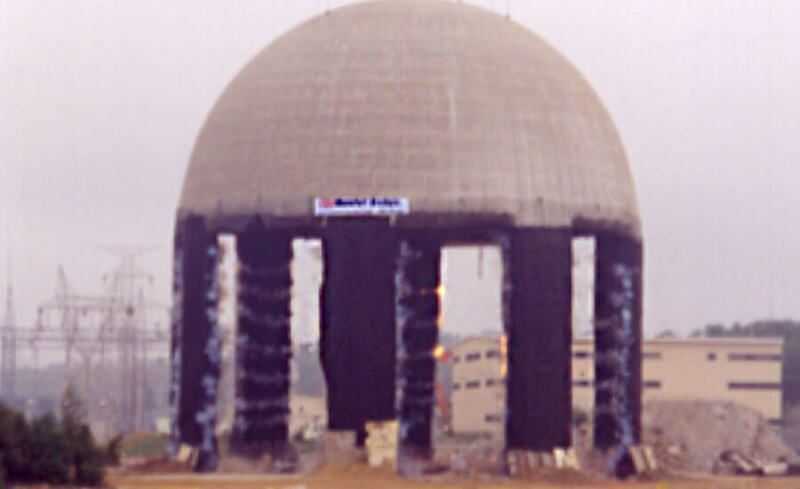 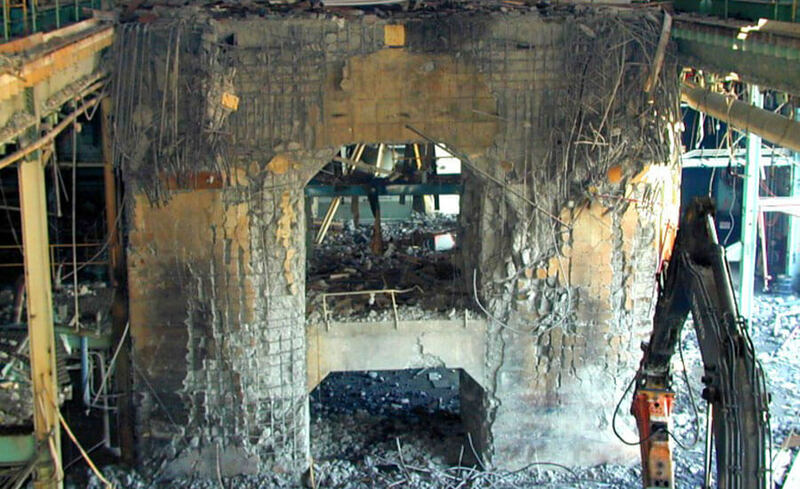 • The highly creative use of selective structure weakening and explosives to demolish the Containment Structure. 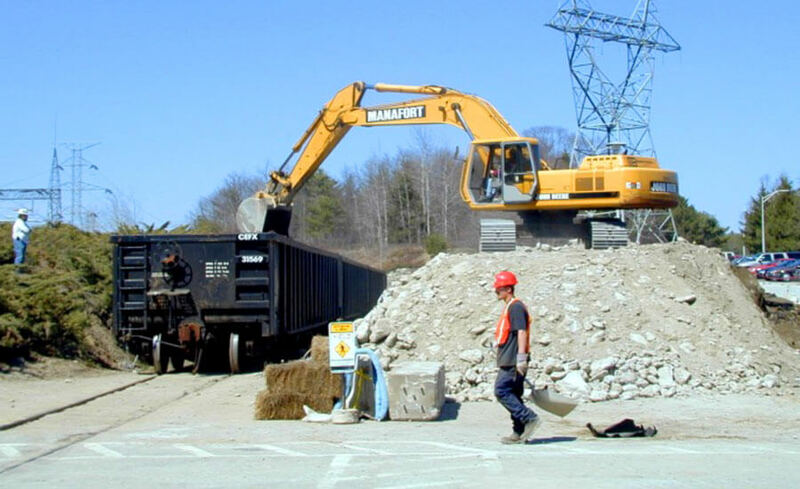 Manafort safely and successfully self performed all work on time and within budget through meticulous planning and execution in close coordination with the Maine Yankee Atomic Power Company.